Germany – On Saturday, February 3, the Twitter account Alt Right Leaks began releasing screenshots, video and audio from an alt-right Discord server called ‘Reconquista Germanica.’ Leaked video shows users discussing how to create fake accounts en masse in order to exploit algorithms against opponents of the alt-right. The leaked tutorials and planning meetings appear to focus primarily on YouTube, but touch on Twitter, Facebook, and Instagram as well. Discord, a free text and voice chat program marketed to gamers, has been widely adopted by many white supremacist groups. Originally published by Unicorn Riot. A few days later, Alt Right Leaks posted another recording of a Discord voice chat meeting which was held to coordinate a ‘raid’ on a target YouTube account. 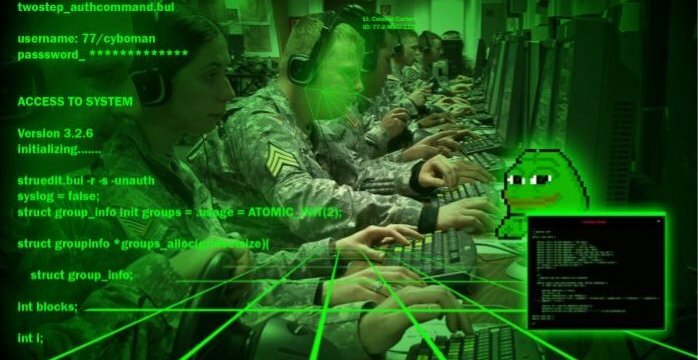 In what they called a “psychological warfare”operation, the raid organizers described how to quickly switch through using different sock puppet YouTube accounts to bombard it with large amounts of dislikes and negative comments. Alt-right Discord users discussed impersonating Syrians in order to encourage anti-immigrant sentiment among Germans, who they saw as more vulnerable to the opinions of foreigners. They also encouraged using fake Syrian identities to convince Syrian refugees in Germany that it was safe for them to return home. The leaks also include a graphic showing the apparent hierarchy of the Discord server, which, like many other alt-right groups, is based on a military-style chain of command. Also provided were a series of screenshots appearing to discuss various technical aspects of conducting influence operations using mass dislikes and comments from fake YouTube accounts. On Sunday, February 4, Alt Right Leaks tweeted selections from a document entitled “Handbuch für Medienguerillas (Handbook for Mediaguerillas), Raidtutorial V3.1.” Screenshots from the manual show instructions given to “Electronic shock-troops” to create fake twitter accounts and “farm followers” by exchanging follows with other participants in their fake account scheme. Another section, “Memetic Barrage Fire“, describes how to take over Twitter hashtags by making minor variations in recurring tweets in order to fool spam detection algorithms. The person behind Alt Right Leaks recently indicated they were taking a break for a few days but would soon continue leaking materials from the Reconquista Germanica Discord server. Their most recent release is a video of a Discord chat in which members of the group discuss whether to target German YouTube personality SallyIsG4y for a sock puppet raid. We are aware that there are users who are attempting to organize raids and circumvent detection, which is against our Terms of Service. We employ a variety of measures to detect this activity and stop this behavior, and those measures resulted in the server being detected and shut down. We will continue to be aggressive in addressing violations to our TOS and investigating and taking immediate action against those bad actors. Google (who owns YouTube) has not responded to our request for comment. Last year, Unicorn Riot received and published an extensive amount of internal Discord communications from alt-right and neo-Nazi organizations involved in Unite The Right in Charlottesville. Browse all our Charlottesville Discord stories here, search the archive of messages in our public Discord Leaks database, and stay tuned for more upcoming Discord stories in 2018.